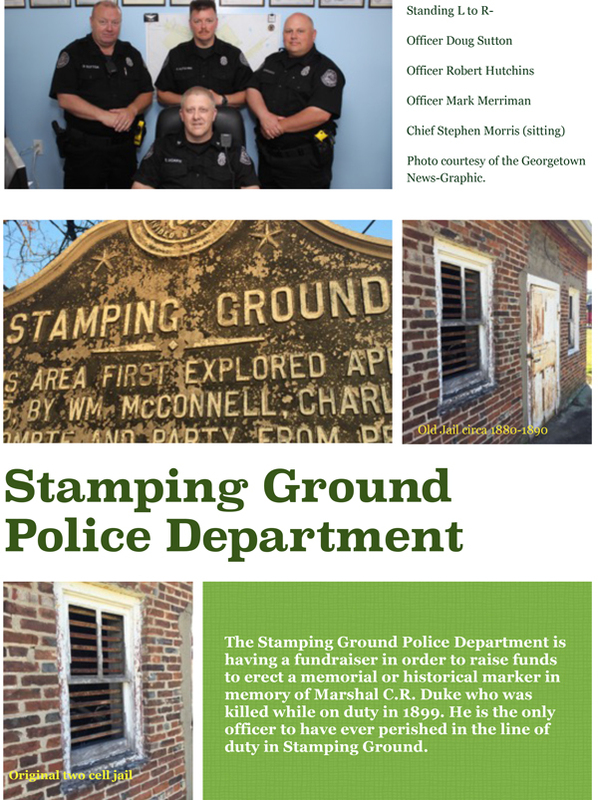 The Stamping Ground Police Department is having a fundraiser in order to raise funds to erect a memorial or historical marker in memory of Marshal C.R. Duke who was killed while on duty in 1899. He is the only officer to have ever perished in the line of duty in Stamping Ground.